When it comes to writing headlines, well talk about burying the lead! “President Barack Obama announced two years ago he would curtail eavesdropping on friendly heads of state after the world learned the reach of long-secret U.S. surveillance programs. Not really much of a surprise. President Obama breaks another promise? That barely qualifies as news these days. Particularly from an administration that regards Israel a bigger threat than Iran. Now I have no problem with the US spying on allies. Unless we have some sort of non spying pact, I would say that’s fair game. But what isn’t fair game is “US Persons” particularly when they are US Congressmen. One would expect that the Obama administration would be a bit more circumspect when it comes to spying on Americans. So the intention of the spying wasn’t some rubric of US national security, it was blatantly political. And the White House wouldn’t even draw the line on spying on Americans. In an objective sense, this scandal is bigger than Watergate. But in a 21st Century news media sense, it’s a yawner. After all, what legitimate news source wants to run a story critical of Obama? Someone remind me again why we were supposed to be all freaked out about the NSA having a database of phone metadata information…basically a phone bill? The post I wrote last week felt naggingly incomplete to me for some reason. My purpose was to note that President Obama shouldn’t have gone to the Paris march since he of course wasn’t “Charlie” and had a record of being critical of satire aimed at Islam. And also to note the irony that the world leaders who did show up at the march were not “Charlie” either. They came from governments that restricted free speech in one way or the other. It was another grim reminder on how rights can be taken for granted at the same time they are being quietly taken apart. And this brings me to Bill Maher. Maher isn’t in any way a favorite of mine, and the last time I watched him with any regularity he had a show on ABC. Hey I wonder whatever happened to that… But for someone who is part of the American left in the 21st Century, he still retains a little of the old 20th Century liberal in him. Gather round children, because you may not believe it, but there was a time when liberals actually favored free speech, even when it wasn’t politically correct! Even when they opposed the message! I know, it’s hard to believe huh? Of course Maher has had more reason than most liberals to care about freedom of expression as a concept, rather than merely as an obstacle that still allows enemies of the left to voice their opinions. Just a few months ago he was heavily protested by his fellow leftists at a speaking engagement at UC Berkeley. So it was not quite surprising when I ran across a Daily Caller story about Maher. The story, written by Daily Caller writer Chuck Ross (who must be single handedly producing ¾ of the Caller’s content), was taken from Maher’s show Real Time in which he criticized a group trying to organize a boycott of sponsors of the Rush Limbaugh show. That’s what old time 20th Century liberals would do; defend, in Voltaire-like fashion, speech they hate. I think Maher would much rather be on the attack Rush side than on the defense, but he’s mad at official liberalism right now so he’s firing back. Wait until he starts defending Palin…. The problem with Maher is that his liberalism hasn’t really evolved since the 1970’s. Liberals used to really care about free speech, and took seriously the Voltarian maxim that I may not agree with what you say, but I’ll defend to the death your right to say it. But that’s when they perceived themselves as the underdogs against “the establishment.” Now of course, they are the establishment. And guess what? They don’t like free speech. That’s why they want to regulate the internet, regulate political speech, and that’s why they’ve been pushing the doctrine of political correctness. Whatever speech they can’t make illegal, they want to make it unacceptable. I’ve been surprised just how quickly the left has abandoned free speech. Social Justice and Identity politics will not compromise with the Bill of Rights. They demand total allegiance. Maher is a dinosaur, and when his kind passes over to…well nothingness since he’s an atheist, the only defenders of free speech will be on the right. Hey, is someone missing in that picture? The President took a lot of heat this week for not showing up for the Paris March last Sunday. And by heat I don’t mean talk radio, I’m talking about the President’s own Praetorian Guard, the main stream media. When you lose both Jake Tapper (CNN) and Andrea Mitchell (MSNBC) you’ve goofed big time. But in retrospect, I think it was probably the right move not to show up. After a few days introspection, I think that March was dishonest and there wasn’t a clear message that the President wanted to get behind. Sure, I think it could be safely said that Obama opposes massacres of journalists, but he really doesn’t like satire against Muslims in general and Charlie Hebdo in particular. “We don’t question the right of something like this to be published, we just question the judgment behind the decision to publish it,” Carney said. This is pretty much in line with the standard American left view of this, although as I’ve documented previously, the left and the First Amendment parted ways many years ago, and in Europe, it was never much more than a talking point anyway. It would be hard to explain marching in support of Charlie Hebdo after the President’s histrionics about the YouTube video that the administration claimed caused the Benghazi attack. In that case, the administration tried to pressure YouTube to take down the video. So much for standing up for free speech. But let’s face it. Obama is no more on board with the free expression than the rest of the left. If President Obama marched in Paris, how would he answer a French Muslim that he’s marching to support free speech to insult his religion while at the same time, it’s a crime to question the Holocaust in France, as well as many other countries in Europe? That’s why free expression is a take-it-or-leave-it proposition. Once you start creating carve outs to protect some group’s feelings, when do you stop? Answer: You don’t. You only have free speech as long as it’s convenient to the government. Of course that means that with the changing demographics of France, eventually Blasphemy against Islam will probably be criminalized. And the French will still think they have freedom of expression. I have a lot of conflicting thoughts on President Obama’s move to normalize relations with Cuba. On the one hand, having no diplomatic relations with an island 90 miles from Key West seems an archaic relic of the Cold War. The reasons for having no diplomatic relations and maintaining an economic embargo made sense when the US was engaged in a chess game with the Soviets, but those reasons are largely irrelevant now. We engage in diplomatic relations and economic trade with plenty of other despotic regimes, why not Cuba too? On the other hand, Cuba is among a handful of countries that are among the worst of the worst in terms of political and economic repression of its own people. It’s not quite North Korea, but it would like to be if it could. It’s in the top 16 or so most repressive countries. It just doesn’t seem that it’s the type of country that we should be reaching out to. But President Obama feels differently… It’s as if standing fast as a brutal dictatorship pays off in getting the US to say Uncle. Not for the people of Cuba of course, but for the regime. Cuban politicians of both parties seem none too happy about the move. That’s surprising in that the Cuban American community seems split, mostly along an older versus younger axis, at least based on TV news reports. But then most Cuban politicians fall within that older crowd and began their careers with the passions that were totally uncompromising where Cuba was concerned. I think the timing of it all though, doesn’t make much sense. We would have been in a much better bargaining position if we had waited until the Castro brothers were dead and buried. At that point, Cuba would be more open to changes, and would be more open to the political and economic benefits of opening relations with the United States. But with Obama, I think he just doesn’t care. It seems that since the election, he’s decided to work off his lefty check list of things to do before leaving power. And of course, that means ignoring Congress and doing whatever he wants to do. Although foreign policy and diplomacy is mostly the providence of the Presidency, with Cuba there is a history of US law in the way. The embargo is codified into law by the Helms-Burton Act, which the President can’t just wave away without Congress repealing or modifying the law. Or maybe he can. I dunno, we live in a new age in which the executive seems to be able to ignore laws he doesn’t like. 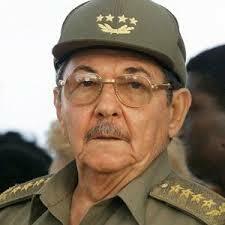 Other laws that regulate our relations with Cuba include the LIBERTAD Act and the Cuban Democracy Act. Is Obama going to ignore them all? Probably so. He hasn’t seemed to pay any price for ignoring any other law so why not these as well? Does the news media even care about these laws? Not that I can tell. In fact, based on my viewing of at least one of the network news programs, NBC, the primary impact of normalization of relations with Cuba is that American collectors will be able to purchase classic American cars and Cuban owners of those same classic American cars will be able to purchase parts for them from the US. All illegal under US law of course, but that went unmentioned in the news reports I saw and sadly, probably not thought of as that important a consideration.